The structures of Machu Picchu, built with stones that appear molded as if before hardening had been made of clay, have turned the Inca city of Machu Picchu into that place that has to visit, at some point in his life. 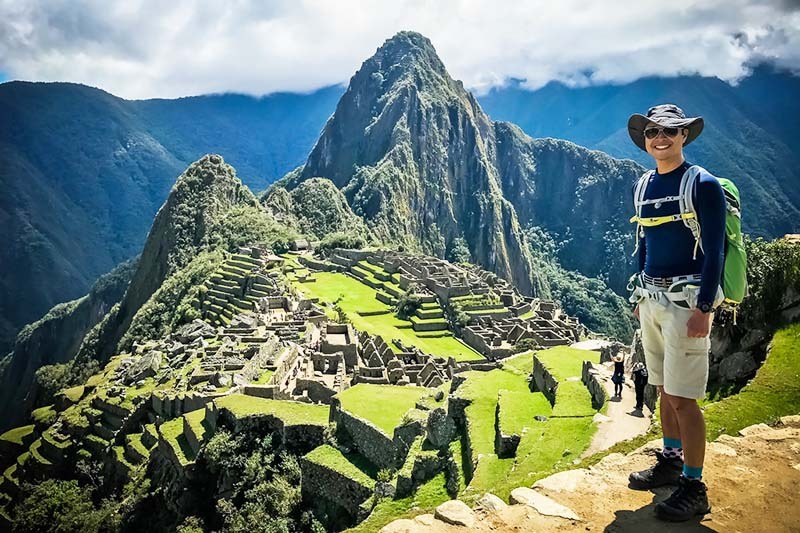 Millions of people have Machu Picchu in the first places of their bucket lists and thousands of them arrive each day to Machu Picchu, this has made the tickets to enter are reserved in advance. Machu Picchu offers a great adventure in a place that no one should miss. A city lost in the middle of green mountains surrounded by a river and in turn by the largest mountains of the Andes, and that appears and disappear in the horizon shrouded in fog. When to book your ticket Machu Picchu 2018? The trip to Machu Picchu involves other reservations, hotels, guides, train tickets; that is why the ticket Machu Picchu must be booked in advance, the time will depend on the ticket you choose. The ticket Machu Picchu alone. 2,500 tickets available on any of the shifts, morning or afternoon. It can be booked a few weeks before your arrival in Cusco, remember that you will need to know when you will enter Machu Picchu to organize the rest of your trip, trains, hotels, guides, etc. The ticket Machu Picchu (morning shift) + Huayna Picchu. 200 tickets in each of the 2 income groups (group 1 or group 2). It has to be booked several months in advance. We recommend you do it 3 months before to choose the day when you want to ascend the mountain Huayna Picchu. The ticket Machu Picchu (morning shift) + mountain. 400 tickets available in any of the 2 schedules. It may be booked a few weeks in advance; we recommend you do it 4 weeks in advance. It is also the best alternative for people who did not reach the tickets to enter the mountain Huayna Picchu. The ticket Machu Picchu + museum. will depend on the spaces available in Machu Picchu. It can be booked a few weeks in advance. In this case, you will receive 2 tickets in your inbox, one to enter the Inca city of Machu Picchu in the shift you choose (morning or afternoon), and another to enter the site museum of Machu Picchu. Remember that the reservation times are based on normal and common visiting times, since the reservation of any of the tickets during the high season (May – August) must be done months before , as well as the other reservations of the trip. How to buy tickets Machu Picchu tickets now for 2018? Book your Machu Picchu 2018 tickets now. This is what you have to do. Choose the type of ticket and the date of your trip. Check the available tickets for the day you chose. Press to reserve and fill out the reservation form. Pay for the ticket Machu Picchu , after receiving the In-voice in your mail. Print the Machu Picchu tickets. You have 2 hours after your reservation to pay for your ticket Machu Picchu otherwise this will be canceled. For any questions about the trip to Machu Picchu, please contact us at info@boletomachupicchu.com. We recommend booking train tickets immediately after booking tickets Machu Picchu. Remember that you will not be able to enter Machu Picchu without the company of a guide, you can hire one by writing to info@boletomachupicchu.com. If you book the ticket Machu Picchu Only, we recommend you book the ticket for the afternoon shift; firstly why you will find many fewer people, and if you need more reasons, know that it is one of the best moments to photograph the Inca city. In our tips section you can find all the information about the trip to Machu Picchu.